Lisa’s Lust List Live took place in the Kilashee Hotel in Naas on Saturday, 30th March 2019… Hosted by the wonderful Fashion Blogging guru, Lisa McGowan (Instagram: @lisas_lust_list). As is the way with all Lisa’s events, the entrance into the room was a beautiful red carpet, decadently lined with lit lanterns… The room itself was displayed as a high-end, luxury wedding. The stage was ornately designed with cherry trees, each table had a cherry blossom centre-piece, a flower wall for photo ops, funky lighting, high energy tunes… all blended in harmony to create such a buzz of excitement before the guests arrived. Upon stepping foot in the room, you knew it was going to be a great night! Once again, Domaine Des Jeanne had the pleasure of hosting the Drinks Reception from 6pm, led by our Business Development Manager, Denise Douet. Our sincere thanks to our dream team: Denise’s sister, Niamh Nolan, and the Whizz Marketing Ltd duo: Jennifer Nolan and Colma Lineen (Instagram: @whizzireland – Web: www.whizz.ie) who were all a priceless addition on the night. Together, they helped us spread the word about our delicious collection of JJ wine from the Luberon in the South of France. 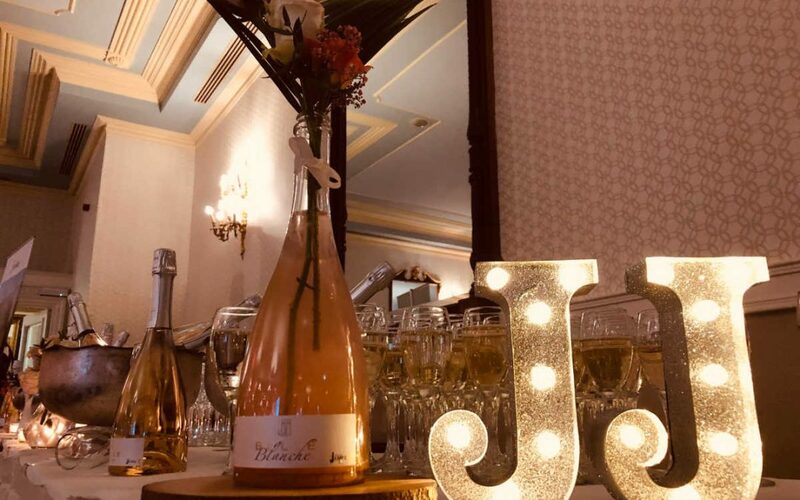 We arrived early to set up our display and decorated it with flowers, candles, and our superb sparkling wines: JJ Bulle Blanche, JJ Bulle Rose, JJ Prestige Rouge and JJ Esprit Rosé. The air was filled with a buzz of excitement between all the vendors as everyone prepared for the guests to arrive. At 6pm the event kicked off and Lisa personally greeted over 300 glamorous ladies at the entrance. All the guests enjoyed a complimentary glass from our fabulous collection, followed by shopping and beauty demonstrations from some of Ireland’s leading names. 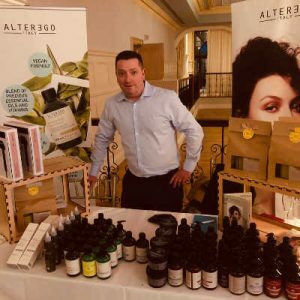 The guests were all seated where they enjoyed dinner, a full fashion show, and top beauty tips and demonstrations from some of Ireland’s premium brands and boutiques. 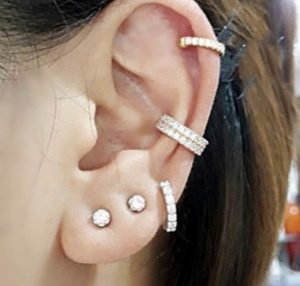 Jean from Desert Diamonds (Instagram: @desertdiamondsireland – Web: desertdiamondsireland.com) displayed her beautiful earrings, rings, necklaces, bracelets and also introduced her to-die-for elegant and chic helix cuff earrings… Visit her website to get the look! 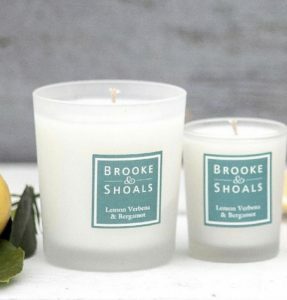 The multiple award-winning fragrance brand, Brooke & Shoals Fragrances (Instagram: @brookeandshoalsfragrances – Web: brookeandshoals.com) showcased their Brooke& Shoals scented candles – natural, luxurious and hand-made in Ireland. Their sophisticated harmonious fragrances create divine aroma’s that last. 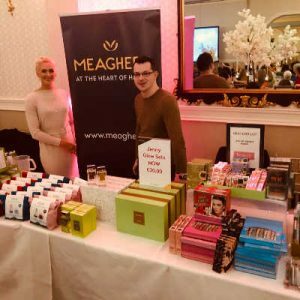 Oonagh O’Hagan, Managing Director from Meaghers Pharmacy (@meagherspharmacy – Web: meagherspharmacy.ie) was there with Leanne & Kevin showcasing their extensive range of products such as Benefit, Jenny Glow, Vichy, Symprove and lots more. With 8 locations around Dublin, Meagher’s Pharmacy Group is a leader in the Dublin area. It was recently recognised as a Deloitte best managed company and continues to be recognised as a leader in both customer service and a supplier of leading product ranges. The fabulous Bernadine from Spicey B (Instagram: @spiceyb2 – Web: spiceyb.com). 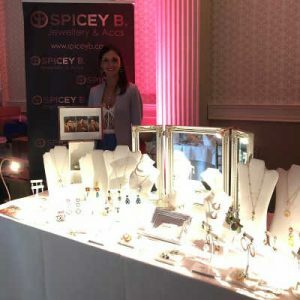 By the end of the night, so many of the vendors and guests were sporting Spicy B’s range as her necklaces and earrings are to die for!! Visit her website to browse her online store where you can buy stunning Statement Earrings, Statement Necklaces, Layered Necklaces and lots more lovely things! She provides offer free shipping on all products within Ireland & on International shipments if you spend over €50!!! 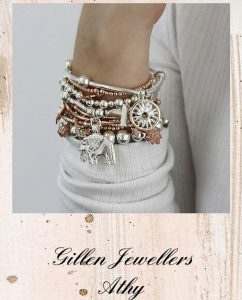 Tara & Sinéad from Gillen Jewellers in Athy (Instagram: @gillenjewellers – Web: gillenjewellers.ie) showcased their stunning collection of jewellery and watches. Visit their website to purchase ChloBo, Secrid Wallets, TWLV Watches, Ti Sento, Rosefield Watches, Tissot Watches, Daniel Wellington and lots more. 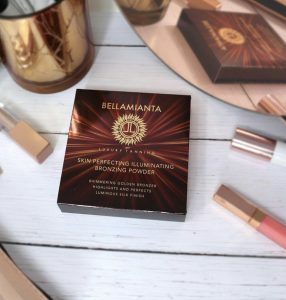 Róisín from multi-award winning Bellamianta Luxury Tanning (Instagram: @bellamianta – Web: bellamianta.com) was on hand with their latest additions to their extensive range of tanning products. 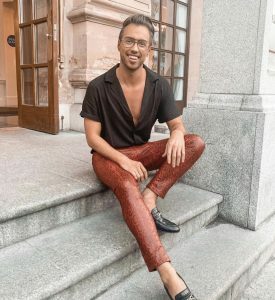 Pam from Burke By Design (Instagram: @burkebydesign – Web: burkebydesign.ie) showcased her range of women and children’s clothing, accessories and shoes. They stock Calvin Klein, Ania Haie, Valentino, Ted Baker, Joules and lots more. 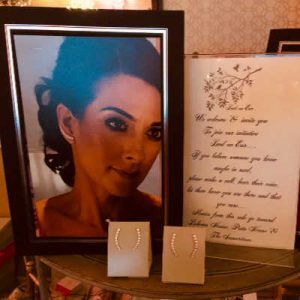 With a company ethos that it is important to give back, they support all the local initiatives and started the Lend an Ear campaign which supports Lisheens House, Pieta House & The Samaritans through the sale of their beautiful earrings. Based in Clonakilty in Co. Cork… pop in to them or visit their website for more information. 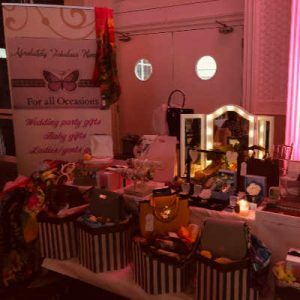 The delightful owners of Absolutely Fabulous Hampers, Val & Sue (Instagram: @absolutelyfabuloushampers1 – Web: absolutelyfabuloushampers.ie) supply hampers for all occasions and pride themselves on their imagination, style, quality and affordability. Their ab fab scarves proved to be very popular amongst Lisa’s guests and most of the vendors left with one (us included!)! Check out their website and keep them in mind any time you’re looking for a unique present for a wedding, baby, special celebrations, corporate gifts, and lots more. 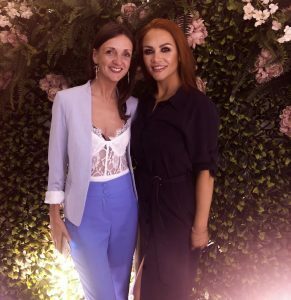 The ultra glam, Make-Up Artist, Gráinne McCoy (Instagram: @grainnemccoy_ – Web: http://grainnemccoy.com) also hosted a stand showcasing her fabulous lash collection and was up on stage giving a lash demonstration. Gráinne is the mastermind behind the MUBAs (Make-Up & Beauty awards – Instagram: @makeupandbeautyawardsni – http://makeupandbeautyawards.com), Northern Ireland’s Makeup & Beauty Awards which will be held next Sunday 7th April at the fabulous Titanic Building, Belfast. Nicola Ross (Instagram: @nicolarossnaas – Web: nicolaross.ie) is a ladies clothing boutique, specialising in occasion and casual wear. With 2 shops in Naas, Nicola Ross is one of Kildare’s premier boutiques, bringing you the best of designer collections from Paris and Milan… stockists of an extensive range of labels such as Linea Raffaelli, Moncho Heredia, Luis Civit, Carla Ruiz, Ispirato, Fee G, Casting as well as casual wear from Kate & Pippa to name but a few. Visit their website for more information. 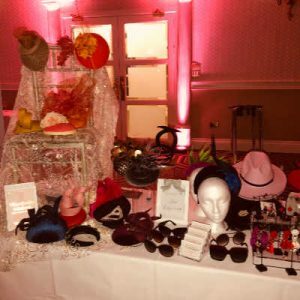 Jennifer’s Hat Emporium (Instagram: @jennifershatemporium – Web: jennifershatemporium) in Kildare was there showcasing her Hat Hire business. She offers nationwide delivery and a collection service. Many of the models stole the show with her fabulous hair accessories… So if you have a special occasion coming up, be sure to get in touch with her. 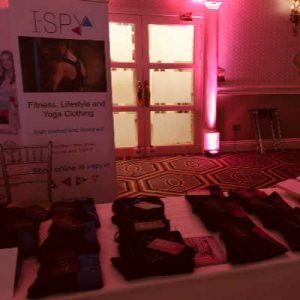 The Mother & Daughter team, Paulette & Louise Egan from I-SPY clothing (Instagram: @theispyteam – Web: i-spy.ie) were on hand with their fitness and yoga wear, with free wordwide shipping. Their range is 100% non-see through which always proves to extremely popular with Lisa’s Lusters at every event. The wonderful Beauty Expert, Mark Rogers (Instagram: @m.rbeauty – Facebook: @MarkRogersBeauty Web: markrogersbeauty.com) did Lisa’s makeup on the night and was on hand sharing his expertise through his beauty demonstrations and giving everyone his top tips on looking fabulous! Check out his Social Channels or his website to be kept-up-to-date with the latest looks! Jill Ledwith from Nyles & Rafe (Instagram & Facebook: @nylesandrafe – Web: nylesandrafe.com) was up on stage with the lovely Lisa, presenting her fashion show – showcasing her fantastic Spring / Summer Collection 2019. 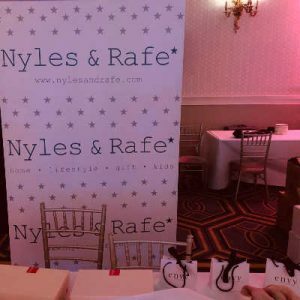 Nyles & Rafe is based in Dunboyne, Co. Meath and stock the most amazing collection of Homeware, Candles, Accessories, Jewellery, Hand Bags, Scarves, Belts, Stationery, Journals, Kids Toys, Baby Presents, Kids Clothes and lots more. Visit their website to check out her Spring / Summer Collection 2019. Kreative Salon Supplies (Instagram: @kreativesalonsupplies – Web: kreativesalonsupplies.com & alteregoshop.ie) are leading suppliers of hair, beauty and nail care products in Ireland with exclusive distribution rights to high end hair care brands, Alter Ego Italy and Echos Line as well as Byothea skin care, The Manicure Company gel nails and Italor salon furniture. Visit their website for more info. 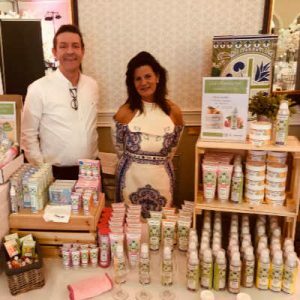 Sinéad & Jeanette from Renew Skin Clinic (Instagram: @renewclinicie – Web: renewclinic.ie) showcased their range skin care products and treatment. Renew Skin Clinic use the latest technology and techniques to deliver advanced skin and body treatments. Staffed by fully qualified Healthcare Professionals, Renew Skin Clinic is dedicated to offering discreet and personalised aesthetic treatments and particular attention is given to clients privacy and confidentiality. Visit their website to learn more about their wide range of skin treatments. We met so many people, we can’t name them all, but it was such a fabulous night and had such fun. Behind the scenes of a show like this, Lisa & Linda work day and night to make sure the show goes off without a hitch. It takes months and months of preparation and tons of hard work. 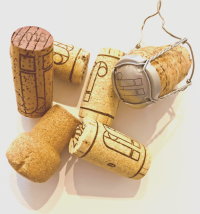 In fact, the planning for the next show begins as soon as the last one ends… Thank you so much to Lisa McGowan (@lisas_lust_list), Linda Blanchfield, Adeline Molloy (Instagram: @adelinemolloydesign – www.adelinemolloydesign.com), Sheelagh Tinney and the rest of the team, we were honoured to be part of such an amazing night. Huge congratulations on such a successful show! To order our delicious wine, please contact Denise Douet via email: denise@domainedesjeanne.com.